I enjoyed this book so much more than Ruby Among Us, and a few of the characters show up again in this book. 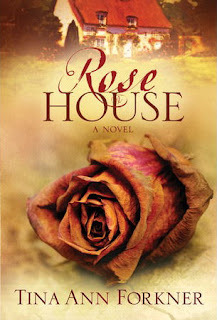 Rose House shows that Tina Forkner has really come into her own as an author. I really enjoyed the mystery that played out around the painting and it kept me in my chair reading so that I finished the book in one sitting! Anyone who has lost close family members will want to take note though, there is definitely the element of grieving and it brought tears to my eyes more than once.